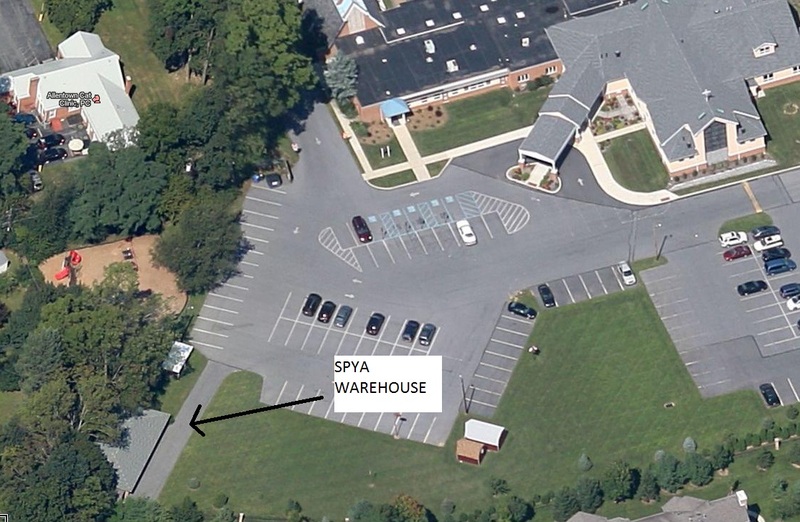 The SPYA Warehouse is a small administrative building used for walk-in registrations, storage, uniform pickup/drop off, equipment, first aid supplies, etc. It is located just off Tilghman Street (next to Wegman's), behind the Nativity Lutheran Church - small brick building at the upper right corner of the parking lot. The warehouse is only open by appointment or when scheduled by a sport commissioner. To make an appointment, please email the warehouse coordinator at .